Our company is emerged as a recognized industry, offering our clients a remarkable product-line of ACP Backlit Signages. The offered product is manufactured of quality grade material, sourced from authentic vendors of the market. 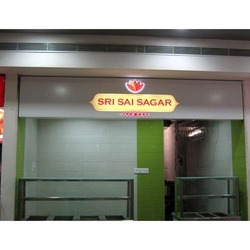 The offered products are precisely-designed and engineered signboards which comes with LED lights. Stringently tested at certain parameters, the offered rolls is ensured of complete flawlessness. We offer an extensive range of ACP Backlit Signages which find application in promotional and advertising activities. Our backlit signage is designed and manufactured at technologically advanced production facility. We guarantee that only the best products are delivered to the clients. This backlit signage is produced from a variety of products which are suitable for internal as well as external use. Looking for ACP Backlit Signages ?